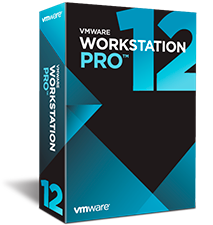 If you are using the VMware LAB at home then you can use the windows server as the iSCSI Storage. 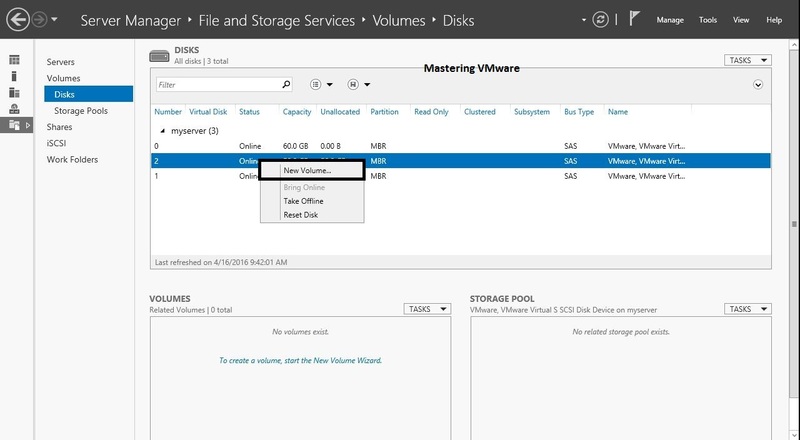 Once you create & configure storage in windows server you can easily use it with your VMware lab. 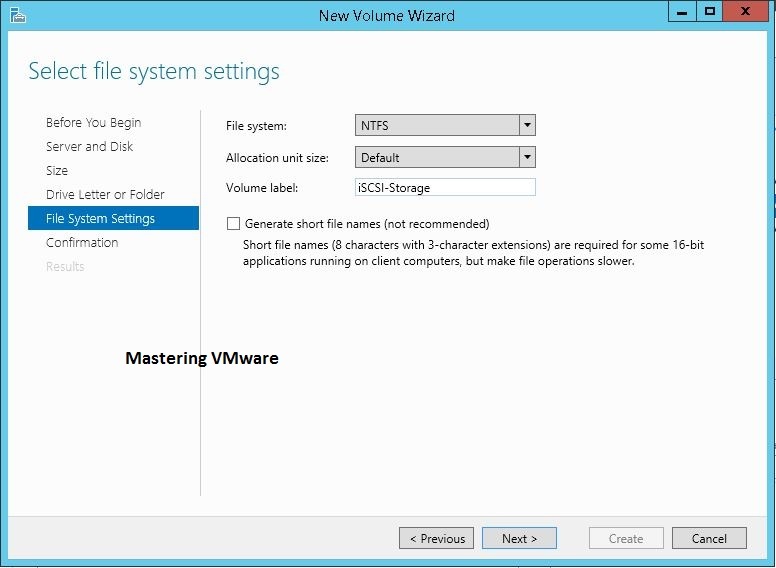 So to know on how create & configure the iSCSI Storage in Windows server check out below post. This post is bit long so i will be creating two parts of it. So in the First Part we will see How to make new additional HDD to online state & make it available for use as iSCSI Target. Let’s check out Step by Step. 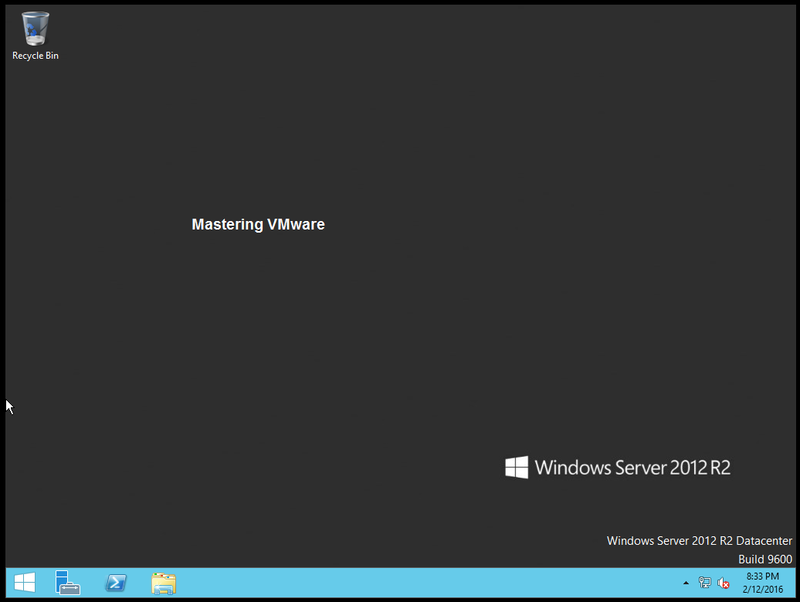 Logon to your Windows Server.Open the Server Manager. 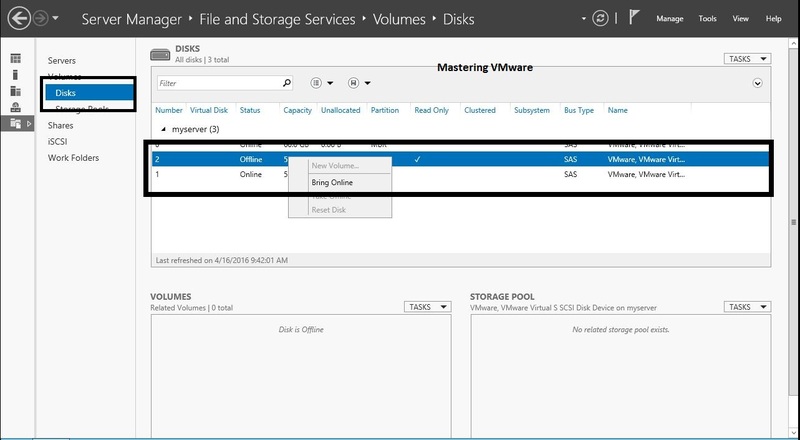 Choose the option from right pane: “File and Storage Services”. 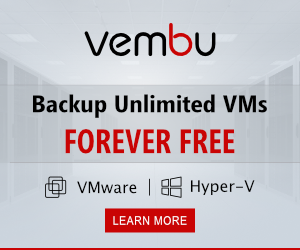 You will see your available disks listed. Choose the Added HDD & Right Click & Choose Bring Online to make it online. Now you can see in the status that disk is online now. Right click & choose New Volume. 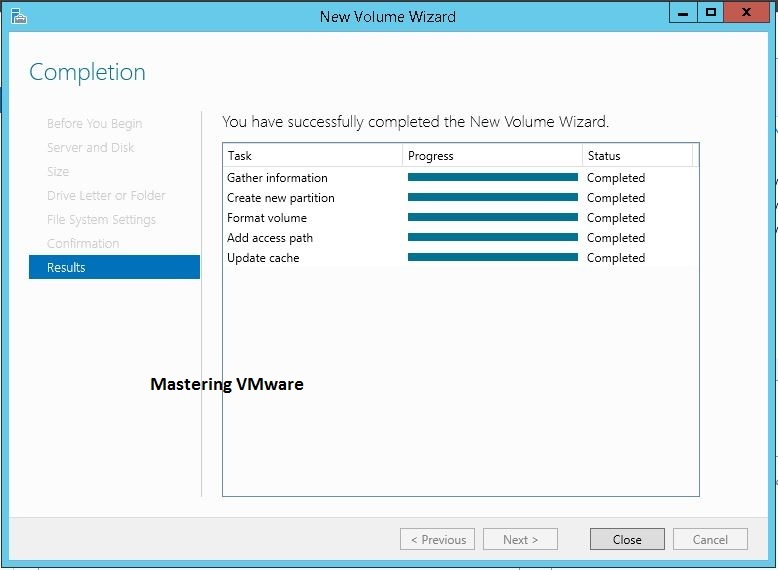 Now you will get New Volume Wizard. 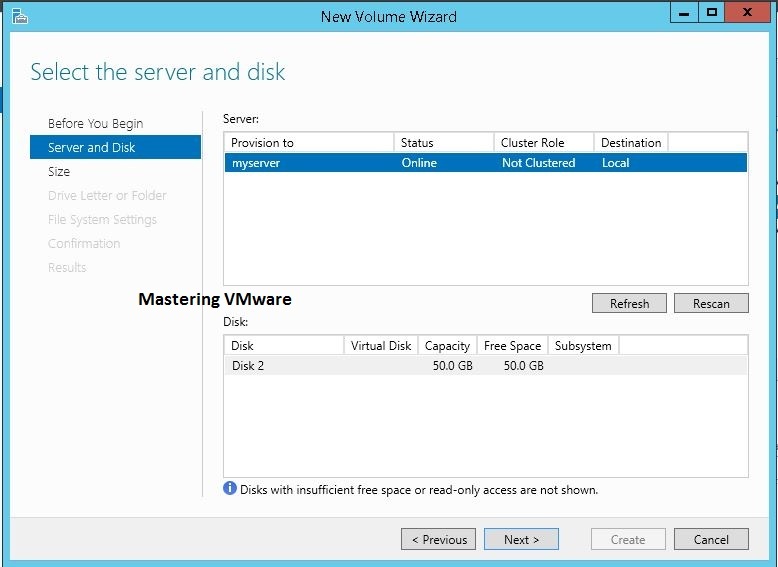 Make sure your server is listed & you will see the disk Capacity & Free size. 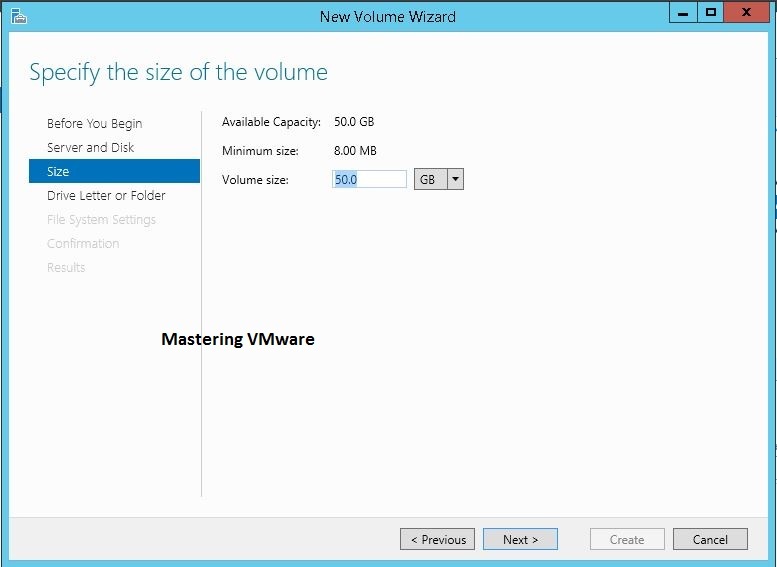 You can choose here Volume Size how much you want to allocate. 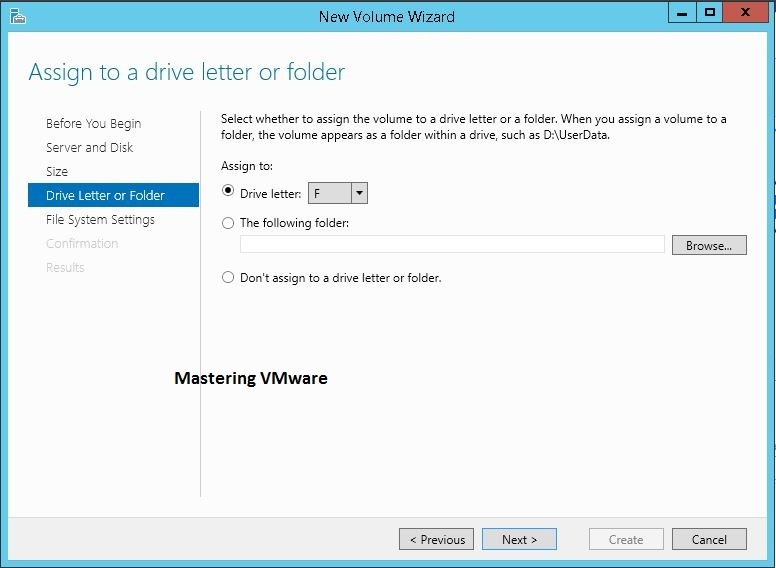 Choose the Drive Letter & other addition settings. 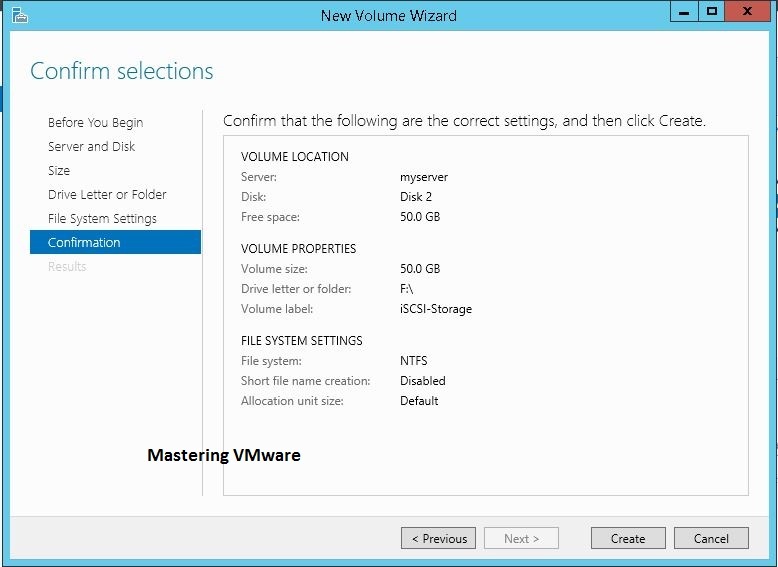 You can provide the Volume Label Here. You will get summary about the configuration. Here you can see the Status of the Tasks running. After all the Task completed click Close the Wizard. That’s it now we have successfully added the HDD & formatted it to use it for iSCSI. 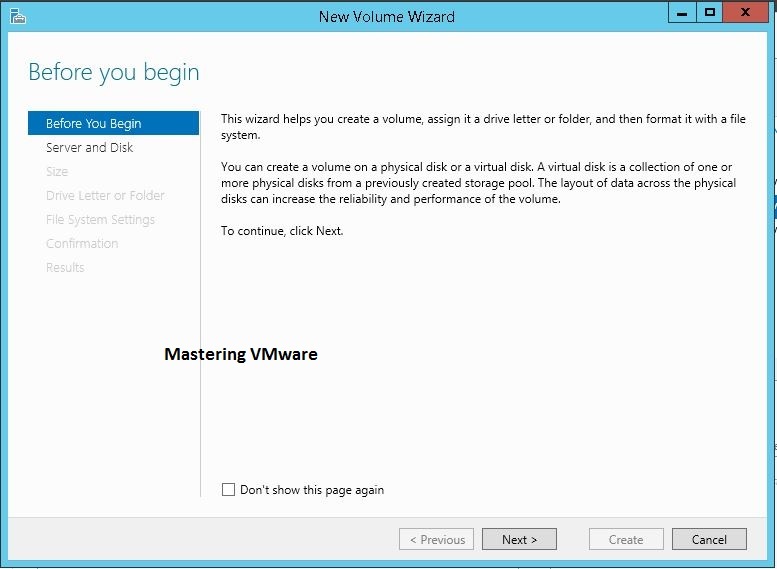 How to create iSCSI Target Server in Windows Server – Part 2.